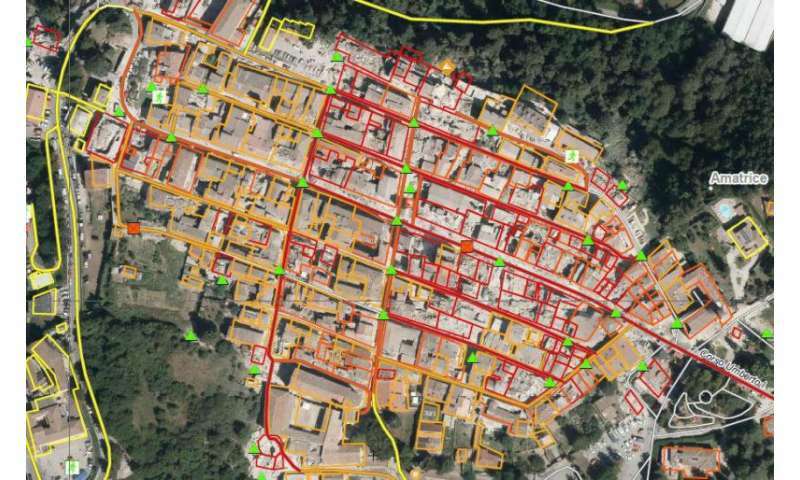 Over the weekend, the European Commission has published accurate maps of the damage caused by the catastrophic earthquake that hit central Italy on 24 August. 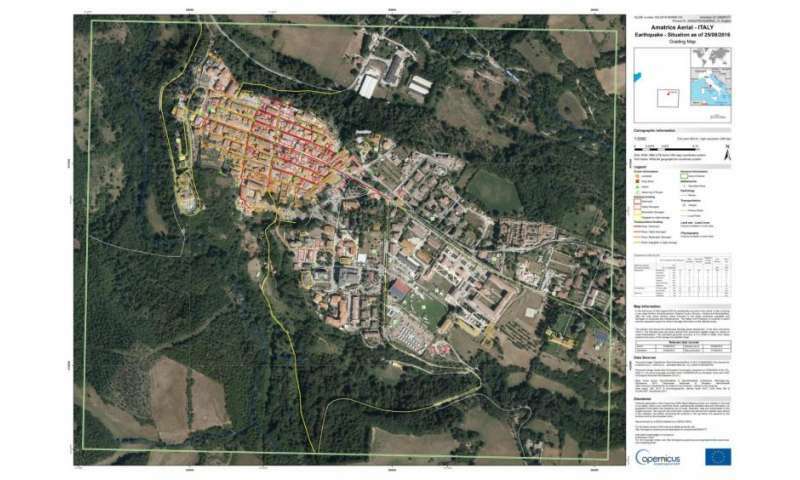 The maps were produced by the Copernicus Emergency Management Service (EMS) Mapping, at request of the Italian authorities to support a preliminary assessment of the damage. The Copernicus Emergency Management Service (EMS) Mapping is the European operational mapping service aimed at providing civil protection authorities and humanitarian aid agencies with timely and relevant satellite (remotely sensed) information in emergency contexts, such as natural and man-made disasters, as well as humanitarian conflicts. The JRC is responsible for the technical coordination of the EMS. The service can be activated in case of an emergency. Following a request of the Italian Civil Protection, the service was activated few hours after the event and the first maps were available less than 24h from the occurrence of the earthquake; a larger set of maps produced in the following days provided accurate identification of the affected zones. Nearly 300 people died and hundreds were injured when a 6.0-magnitude earthquake struck in the early hours of Wednesday, 24 August, 100km north-east of Rome. The areas worst hit are Amatrice, Accumoli, Arquata del Tronto and Pescara del Tronto. The most affected villages were covered first with satellite imagery on the very day of the disaster. To provide even more detailed damaged assessment aerial images with spatial resolution of 10 cm were also acquired the following day. More than 50 post-disaster maps were produced. The maps show the overview of the most affected areas and provide basic statistics on the damage grade on buildings and infrastructure. In addition to the Italian Civil Protection, the maps were used by several news portals to inform about the extent of the damage.